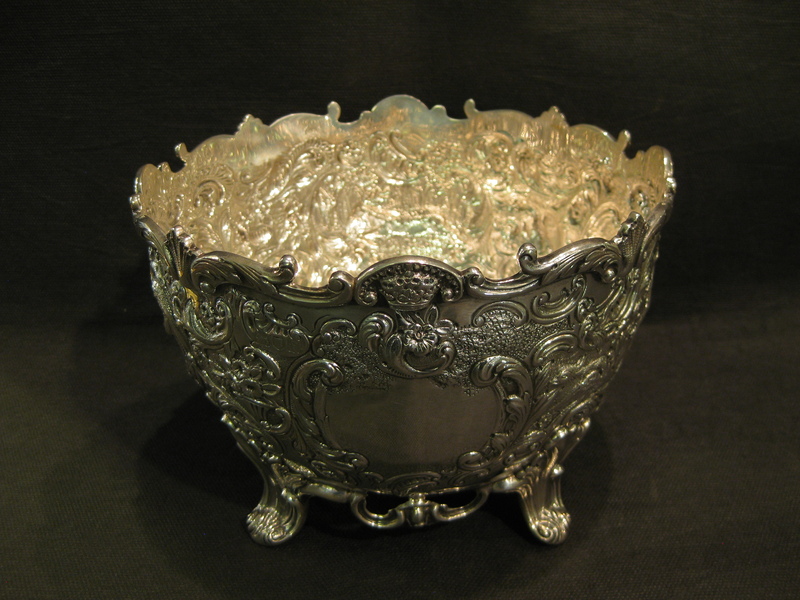 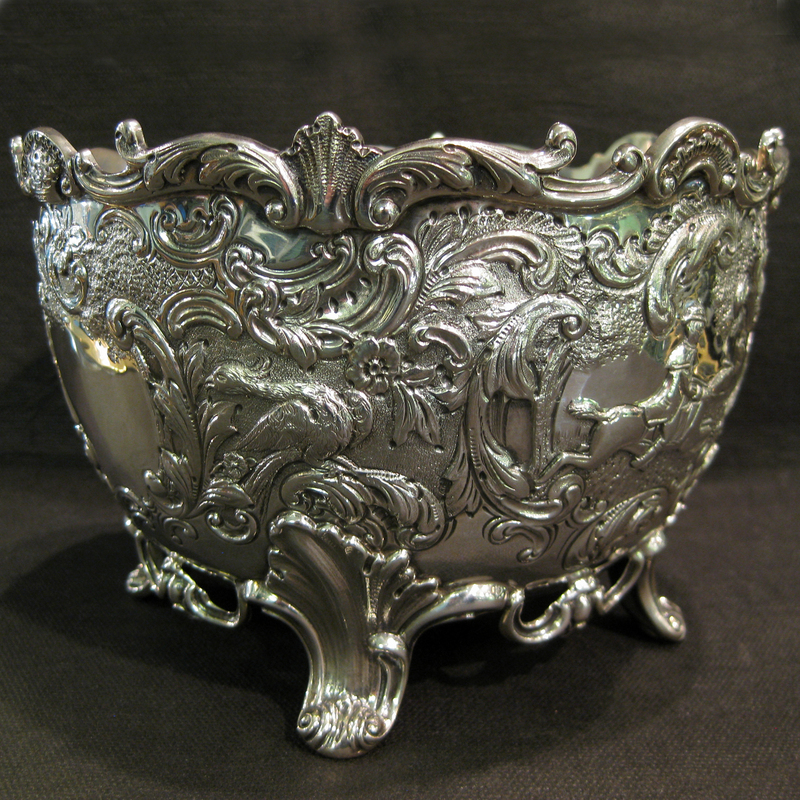 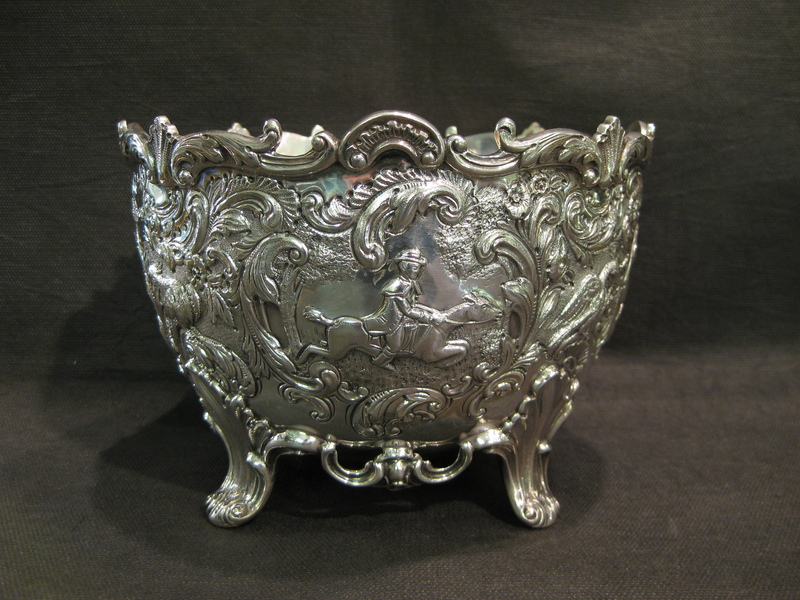 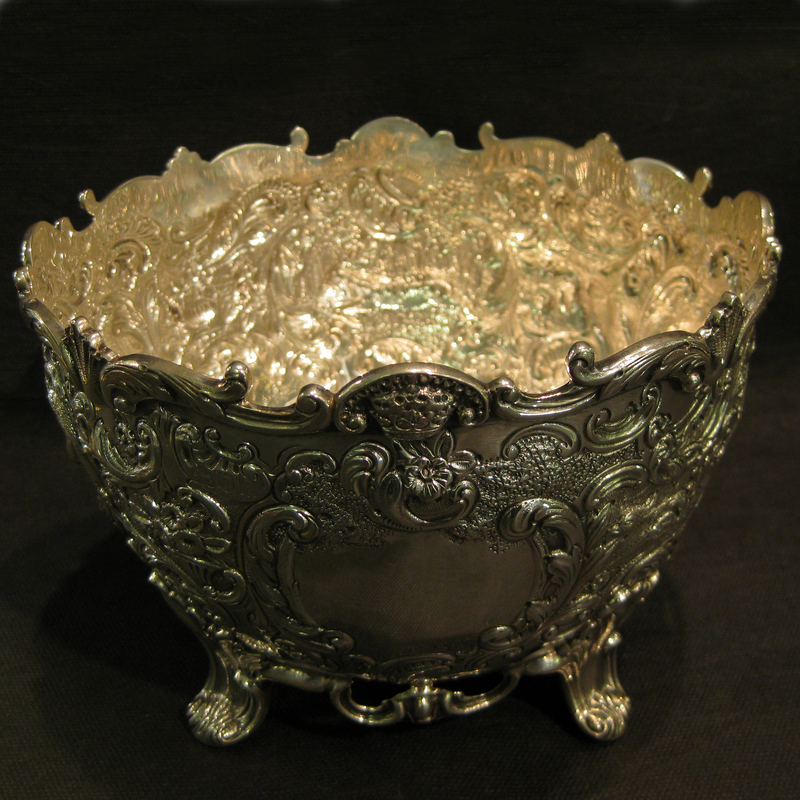 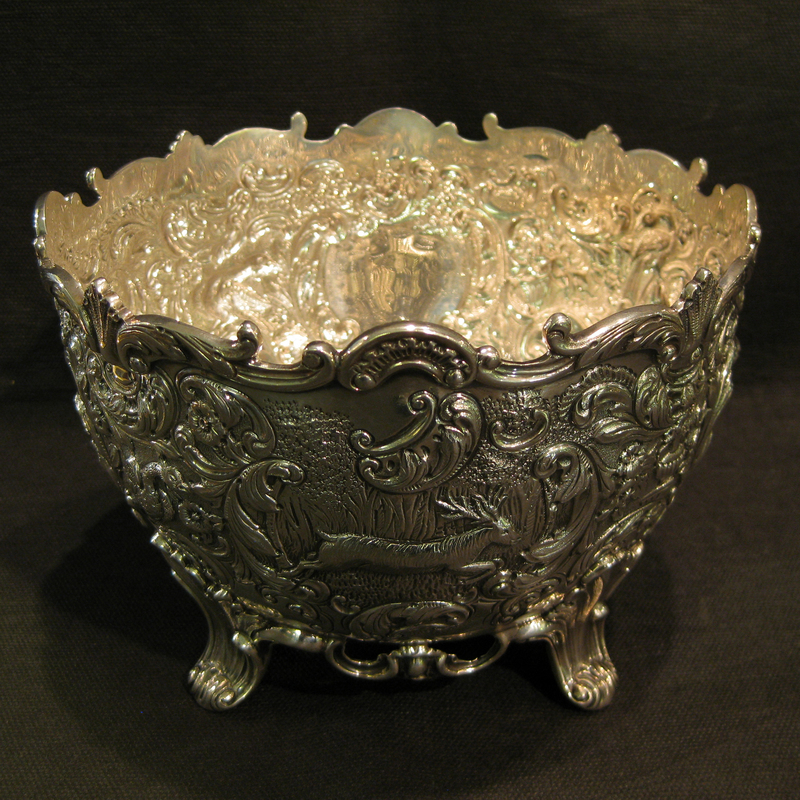 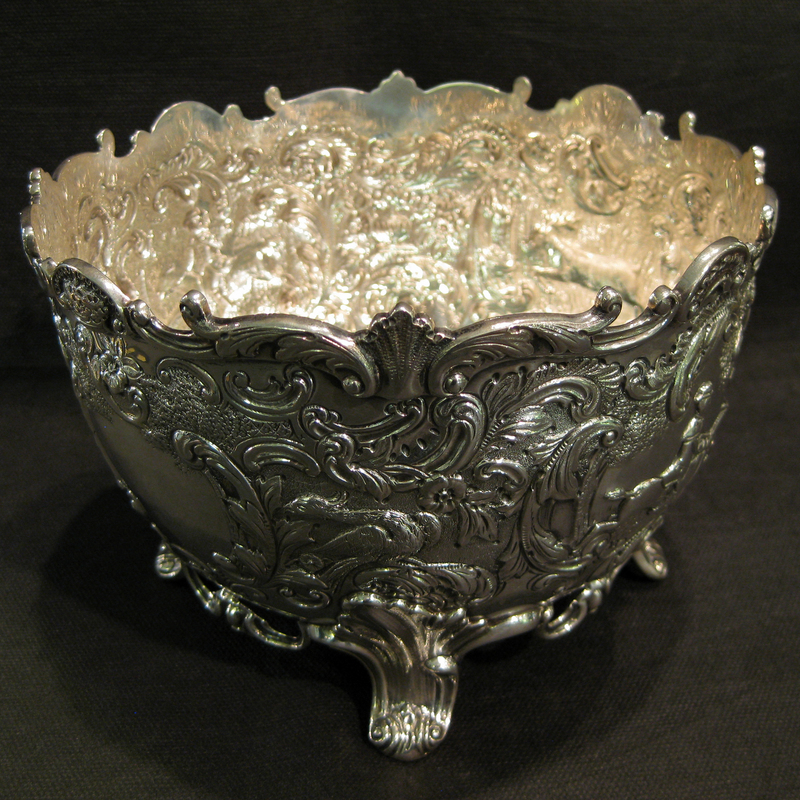 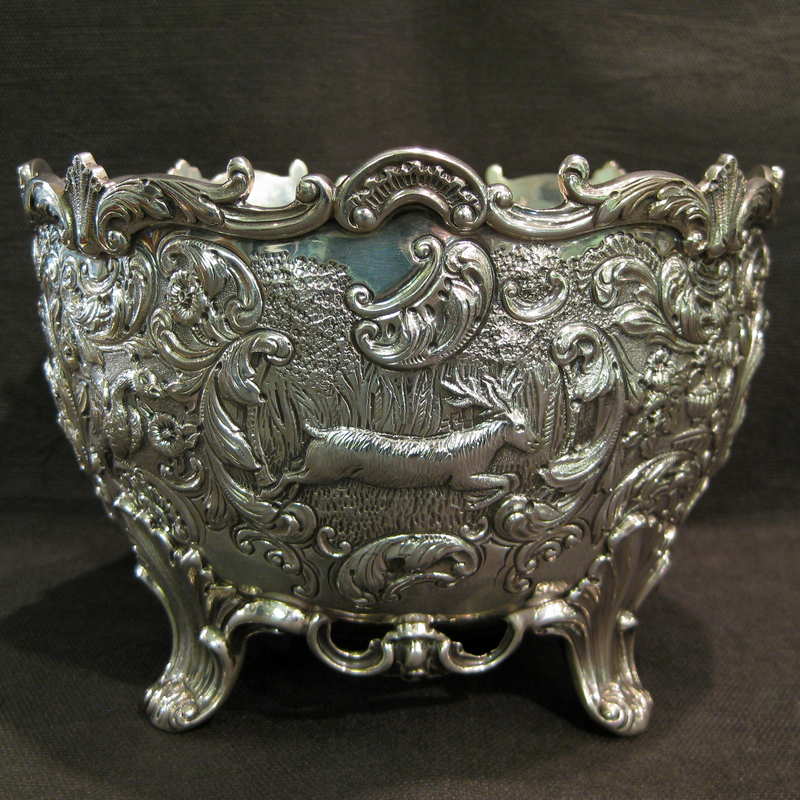 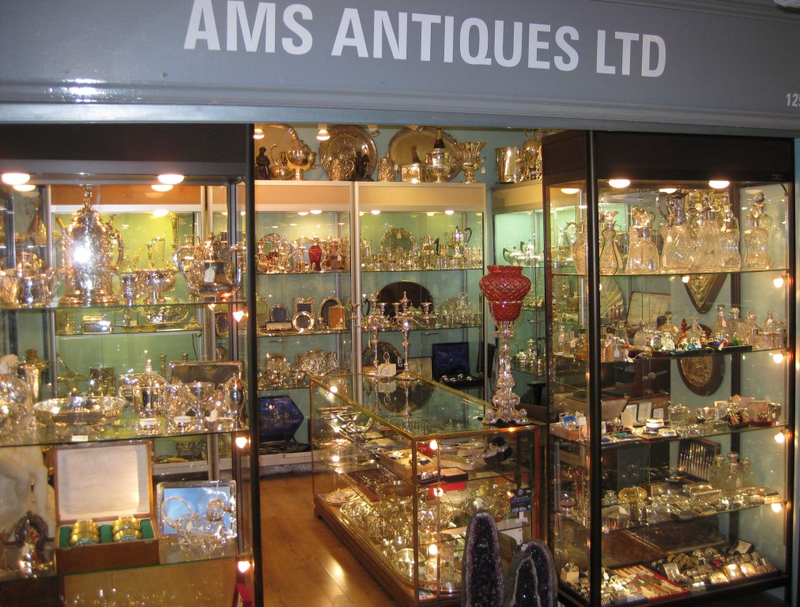 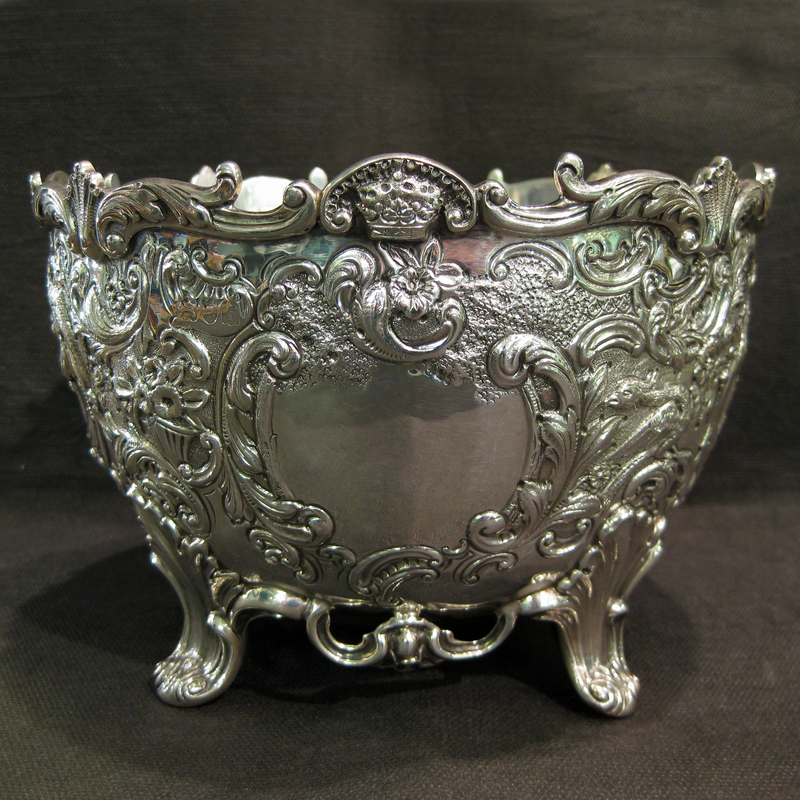 Wonderfully detailed repoussé and chased flower/rose bowl. 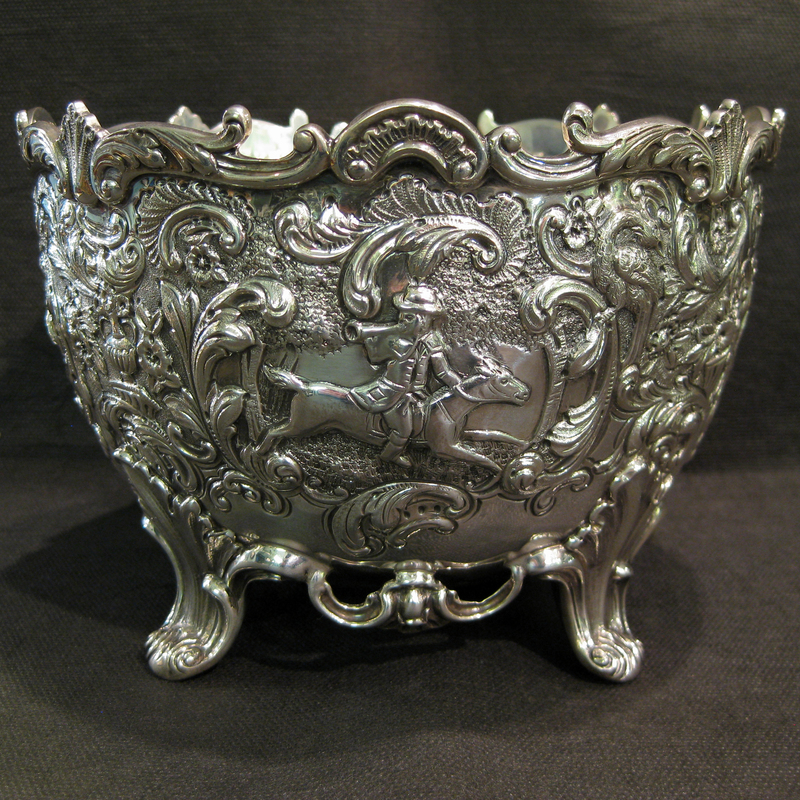 Chased with floral and scrolled motifs with scenes of deer, and men on horseback. 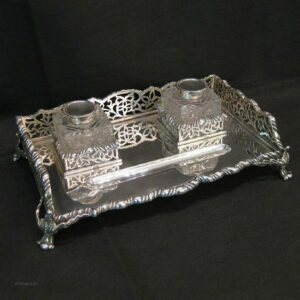 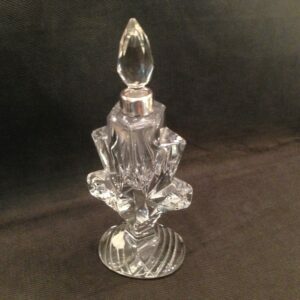 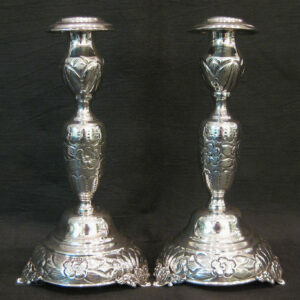 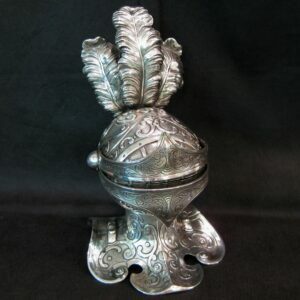 Measures 17.5 cm wide and 12cm tall.